OKLAHOMA CITY (WLS) -- Icy weather across Oklahoma City caused more than 100 accidents leading into the new year, including one that left a truck dangling off a power line. 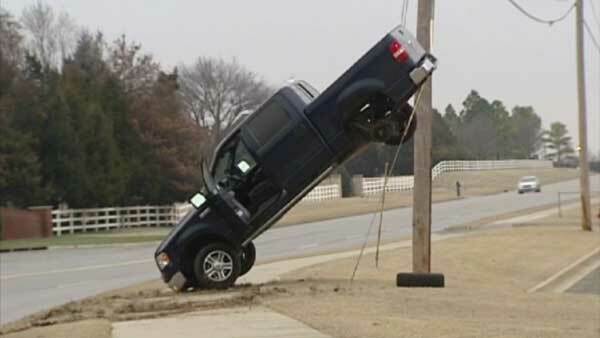 The wire held the truck upright for more than an hour before power crews were able to get the vehicle down. The driver was not hurt. He was able to open the door and jump out. Police say the driver was going too fast on icy roads.